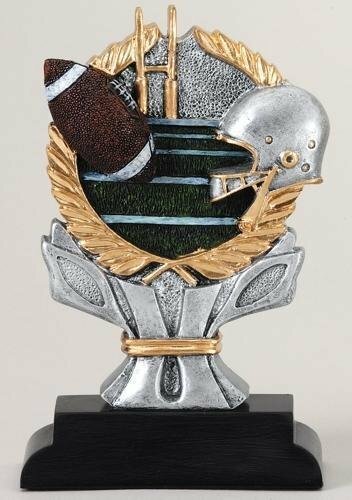 The 3D Motion Extreme resin trophy has an ebony base with a brushed silver laser engraved plate and black letters. 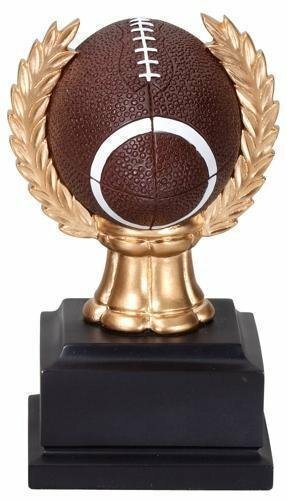 The Football ""Burst Thru"" Award is a popular choice. The resin trophy includes a brushed silver plastic plate with up to 3 lines of black laser engraved letters. 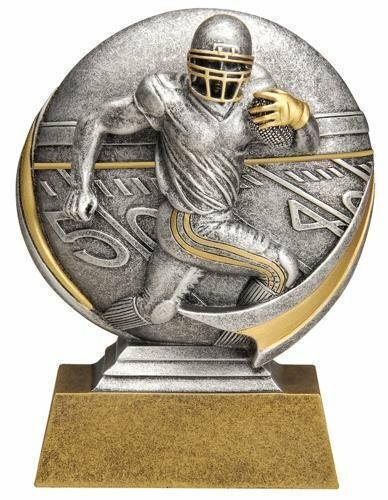 The GE Football resin trophy has a brushed silver laser engraved plate with black letters. 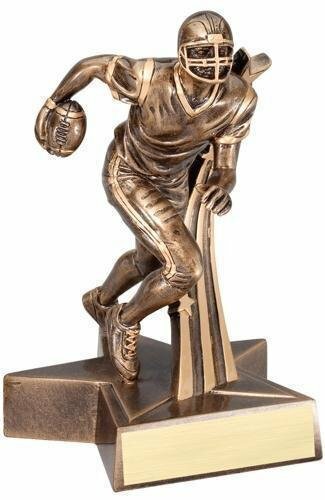 The Football resin award can be used as a plaque or as a trophy that stands up. This 3D trophy includes a brushed gold plate with up to 3 lines of black engraved letters. The Football Gallery resin is an elegant award choice. The trophy has a brushed copper laser engraved plate with black letters. 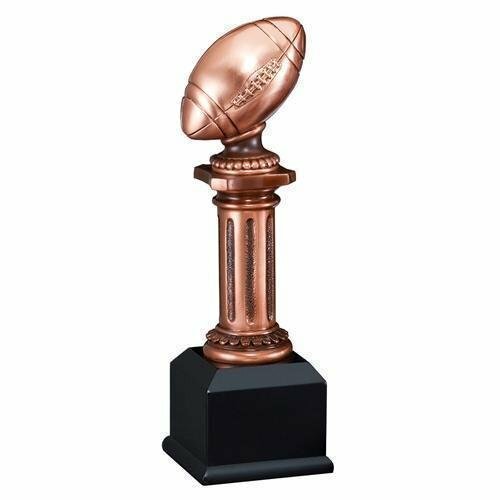 The Football ""Impact"" Award is a popular choice. The resin trophy includes a brushed silver plastic plate with up to 3 lines of black laser engraved letters. 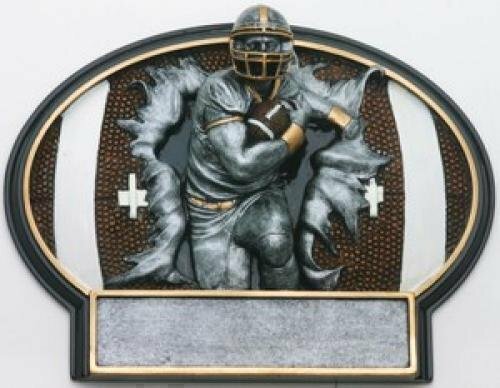 The Football Super Star resin has an antique gold finish. The trophy includes a brushed gold plate with up to 3 lines of black engraved letters. 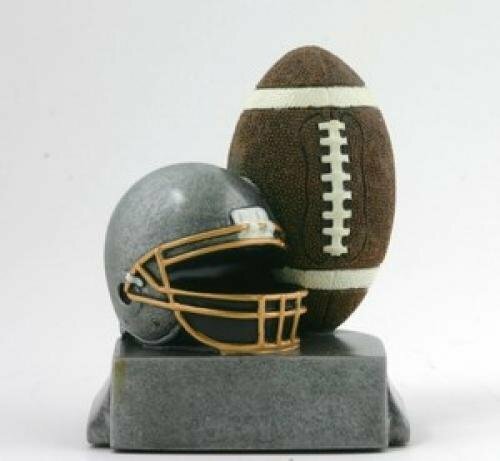 The Football resin trophy includes a brushed gold plate with up to 4 lines of black engraved letters. 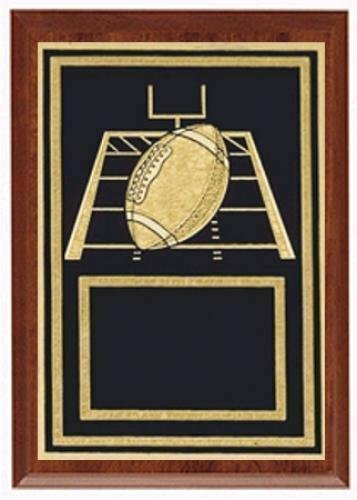 This cherry finished plaque has a black brass plate with a football theme. 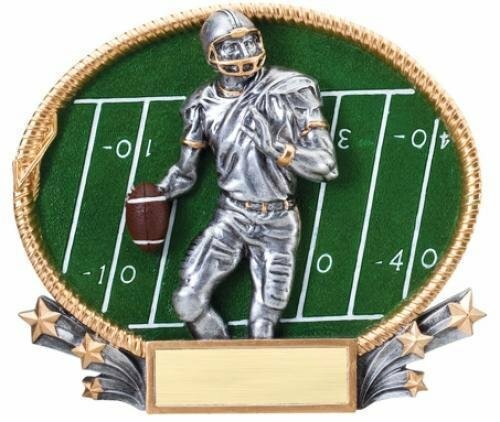 The football plaque is an elegant, yet affordable award that can be used for football tournaments, team awards, personal accomplishments, coach gifts and sponsor plaques.